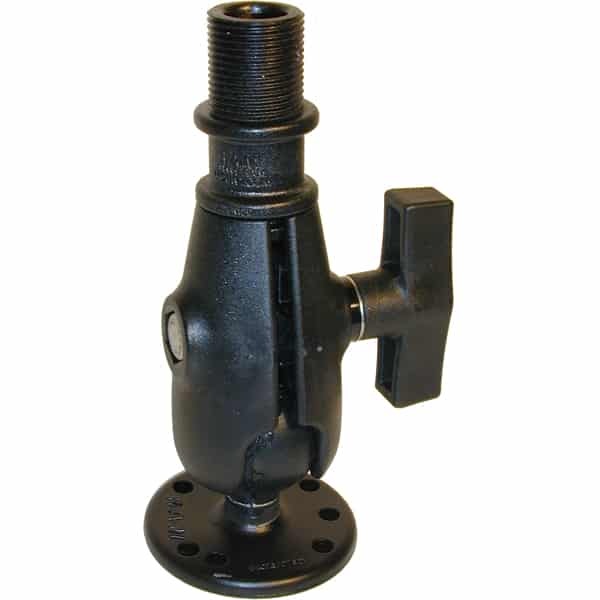 The RAM antenna mount is designed to hold most VHF and similar antennas. 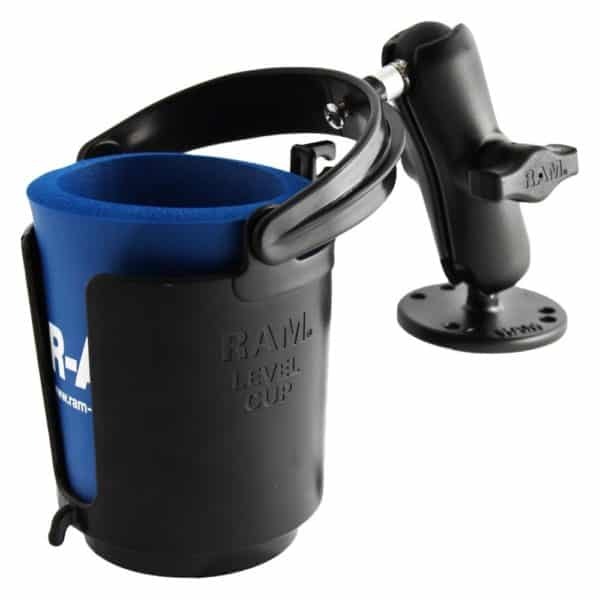 The patented rubber ball and socket system securely mounts the antenna while allowing for almost infinite adjustment. 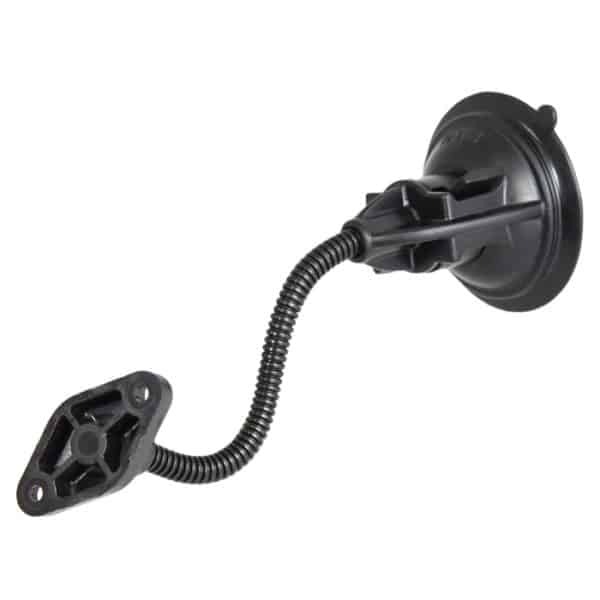 Mount the antenna on a horizontal or vertical surface or anywhere in between. 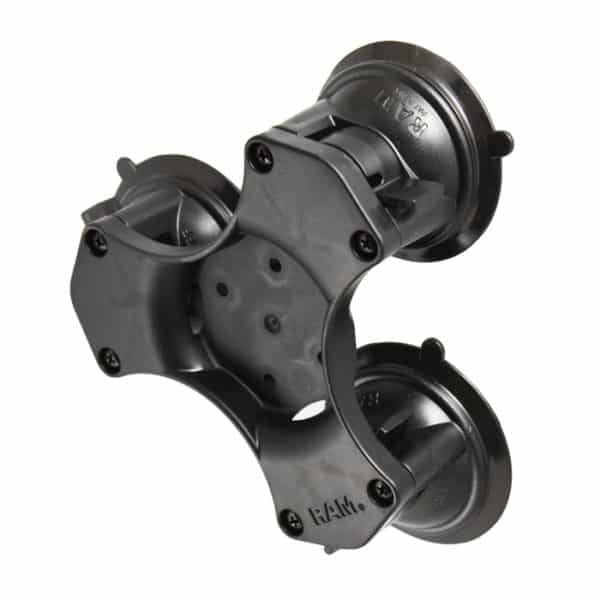 The ball base is made from a light weight marine grade aluminum with powder coat. The ball socket and male 1″ -14 threaded post are made from high strength composites designed for prolonged outdoor use. 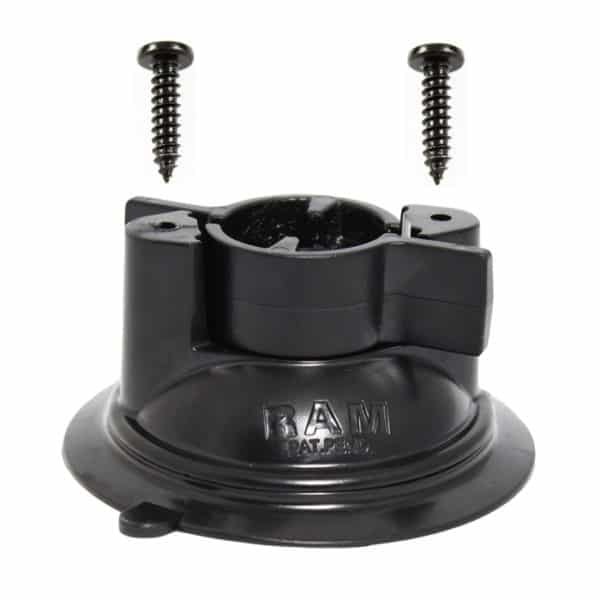 The RAM antenna mount will work with any standard antenna that has a 1″ -14 threaded interface.